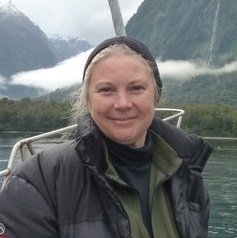 Members of the expedition cruising community will be saddened to learn of the untimely death of expedition leader and committed conservationist, Kris Madden. A gifted writer and lover of all animals, particularly her beloved whales, Kris suffered a massive heart attack on the 28th of December having just spent time with family in Melbourne over Christmas. Kris worked aboard vessels operated by Aurora, Heritage and Polar Star Expeditions in the Antarctic offering interpretation to guests from the perspective of an approachable expert with a deep and genuine affection for her subject. She had just returned from an expedition with Heritage Expeditions through Melanesia. All those, including this writer, who spent time in her lively company will mourn the great loss to both the travel media and expedition travel community.